More blocks will be made ready for oil drilling in the Barents Sea as the Norwegian Government on Monday announced the start of the 24th licensing round. «Awarding prospective exploration acreage is a central element in order to maintain employment, activity and high value creation. This is particularly important in the present situation with weaker employment figures in the petroleum industry and related industries,» says Minister of Petroleum and Energy, Tord Lien. 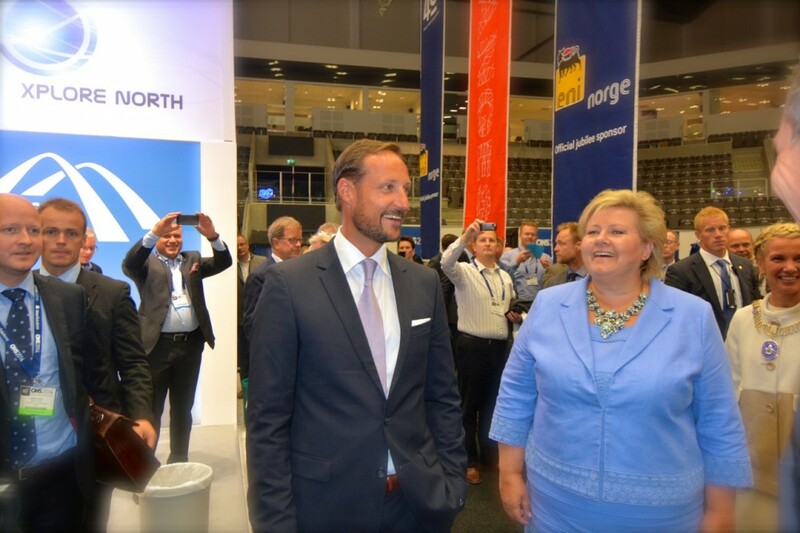 Lien made the announcement at a press-conferance together with Prime Minister Erna Solberg during the opening of ONS, Norway’s largest oil conferance and exhibition taking place biannually in Stavanger. “A central element of the policy is to offer a high number of awards in prospective exploration acreage. Starting the 24th licencing round today is a concrete follow-up of this policy,” says Prime Minister Erna Solberg. The Government writes in a press-release that all areas that have been opened for petroleum activities can be nominated in the 24th licensing round. Exceptions however apply to areas restricted through management plans, areas already covered by licenses and existing awards in predefined areas. In the Barents Sea, large new areas were opened in the 23rd licensing round and the Government says the 24th round will follow the principle of stepwise exploration. That facilities for continued exploration in the Barents Sea. The Ministry of Petroleum and Energy will also accept nominations for blocks in the Norwegian- and North Seas. Regional Manager for the Norwegian Oil and Gas Association, Geir Seljeseth, says to the Barents Observer that today’s announcement will continue to boost more activities in the high north. «It means a continued development of the petroleum industry in the Barents Sea and that is positive for Northern Norway,» Seljeseth says. Norway’s strategy for licensing rounds in newly opened and frontier areas, like in the recent northern- and southeastern Barents Sea, has mainly adhered to the principle of sequential exploration. This entails that results of wells in certain blocks in a given area should be available and evaluated before new blocks are announced in the same area. This approach ensures that large areas can be mapped with relatively few exploration wells. In this manner, available information is used for further exploration, while drilling of unnecessary, dry wells can be avoided. Companies interested in new blocks are asked to send suggestions to Ministry by November 30th. After a summer with peak high temperatures in the Arctic, more oil-drilling in northern waters is meet by strong resistance from the environmental movement. Head of Greenpeace Norway, Truls Gulowsen, says to the Barents Observer that the announcement is a desperate move by the Government. «Greenpeace slams the announcement of yet another licensing round in the Barents Sea as a desperate, headless and irresponsible unemployment measure for oil workers that need transition into new trades, not artificial oil jobs,» Truls Gulowsen says. «It seems the Norwegian Government has already forgotten that they ratified the Paris Treaty with a goal to stabilize the climate well below two degrees,» he continues. Gulwosen says Norway don’t need more desperate hunt for expensive and dangerous Arctic oil, but instead should look for new ideas and new jobs.